You'll then be in the editor screen which is the same as everywhere else that you write code on the site. 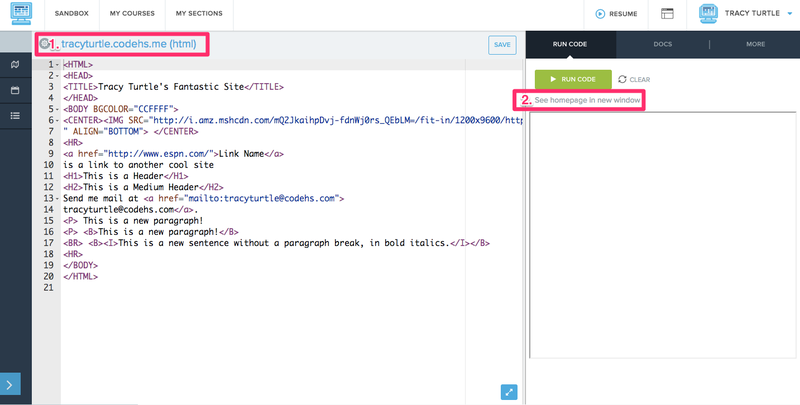 You'll now be able to write code and create your own webpage. You can run code in the editor page, or open it in a new window to view the webpage on it's own. Your unique URL that you can share to access your webpage on the internet. 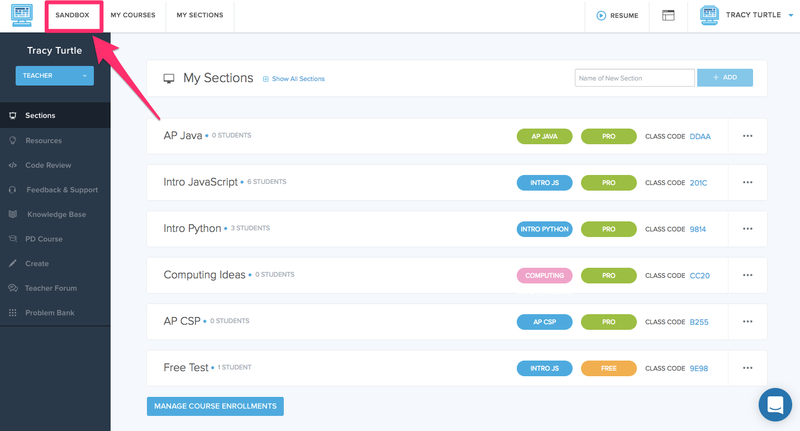 If you want to view your progress outside of CodeHS you can click on the See homepage in new window button.